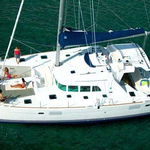 Base Barcelona is a name of boat Lagoon 440 ,which has been built in 2007. 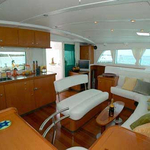 You can rent this yacht from base Barcelona in surrounding area of Barcelona. Base Barcelona is equipped with 8 sleeping places. 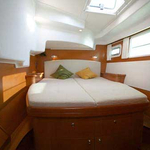 Sleeping places on the boat are arranged in 8 scheme. 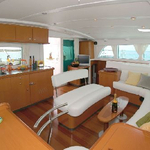 4 cabins are situated inside the yacht Base Barcelona. 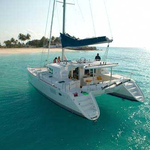 Search for other yachts by going here: Catamarans Barcelona. 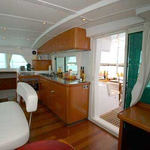 Passengers can feel satisfied on this boat , because there are 4 WC with showers for their disposal. 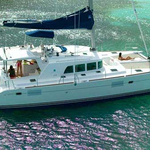 With 650.00 l l. in fuel tank you can sail really far and still be independent because of 900.00 l liters in water container. 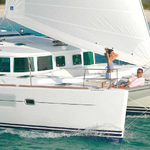 Base Barcelona is driven by engine 2x54 hp. 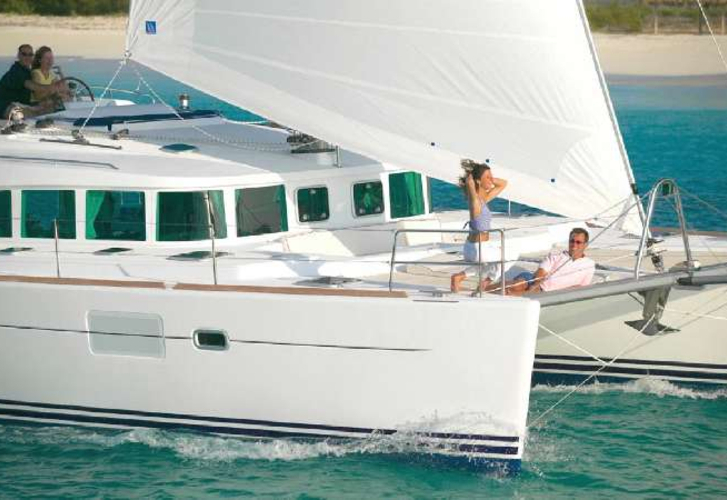 Boat's dimensions are: lenght overall - 13.60 meters , width - 7.70 meters and 1.30 meters of depth. 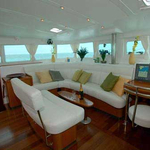 On the yacht you can make use of following equipment: Autopilot, Anchor electric windlass, TV. . Security caution is at the level of 2500.00 EUR. 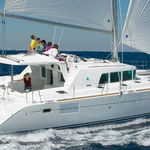 In our search machine you can easily check avalailability of vessel Base Barcelona from Barcelona by clicking on this link: Catamarans Spain.